Written by andy bartotto on Thursday, October 6th, 2016 at 9:48am. 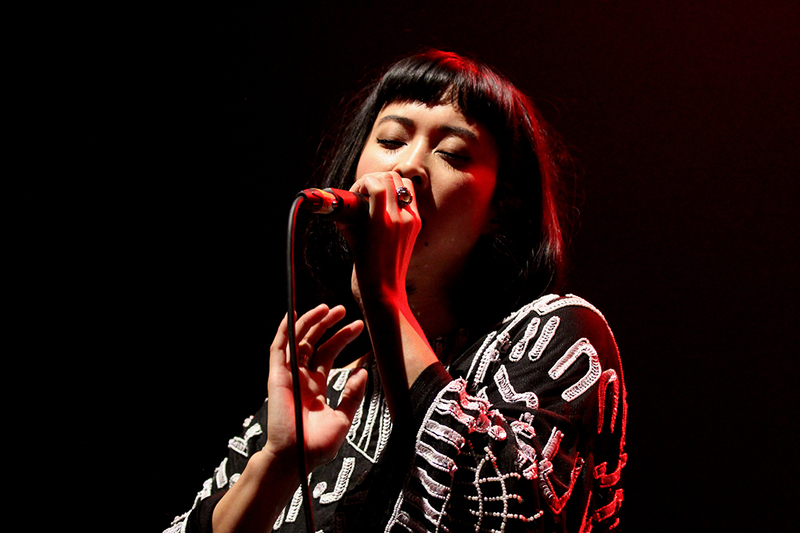 Touring ahead of their third studio album Simple Forms (due out October 14th), The Naked and Famous performed at the Observatory North Park to a nearly sold-out crowd. It can be interesting how many different labels are foisted upon bands, but calling The Naked and Famous “indie electronic” hardly seems necessary. It’s simply rock music, which is forever evolving. Remember when grunge rock became mainstream and it simply turned into rock music? The Naked and Famous were formed in 2007 by co-lead vocalists Alisa Xayalith (keyboards and guitar) and Thom Powers (guitar) while they were attending the Music and Audio Institute of New Zealand (MAINZ). Shortly thereafter, they were joined by Aaron Short, who had recorded the duo’s first two EPs, This Machine and No Light. A few years after David Beadle and Jesse Wood joined, they moved to the Los Angeles neighborhood of Laurel Canyon in 2012, perhaps to conjure up vibes from past residents Jim Morrison, Frank Zappa, Carole King, and many other music legends. Performing their newest single, “Higher,” and favorites like “Young Blood” and “Punching In A Dream,” The Naked and Famous never had a dull moment in their show. There’s something about Alisa’s vocals that can be difficult to describe, but which at times is very soothing to hear. The Chain Gang of 1974, who are fronted by the very energetic Kamtin Mohager, opened the show. Florence, Death Cab, DMC Gang Up to "WreX the Halls"